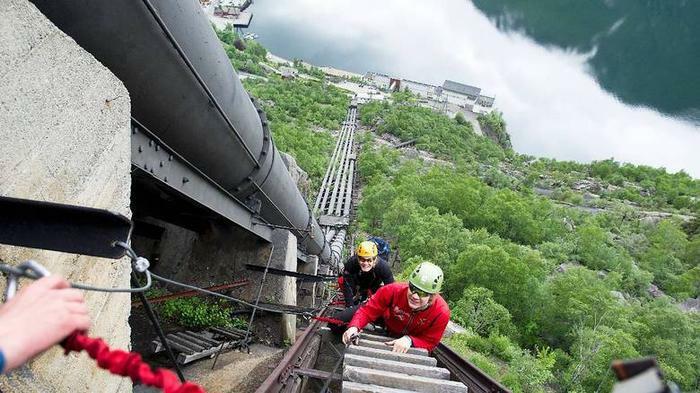 Visit the spectacular hydropower museum in Tyssedal with its mighty castle-like building and get a stunning view from the top of the penstock (pipes)! 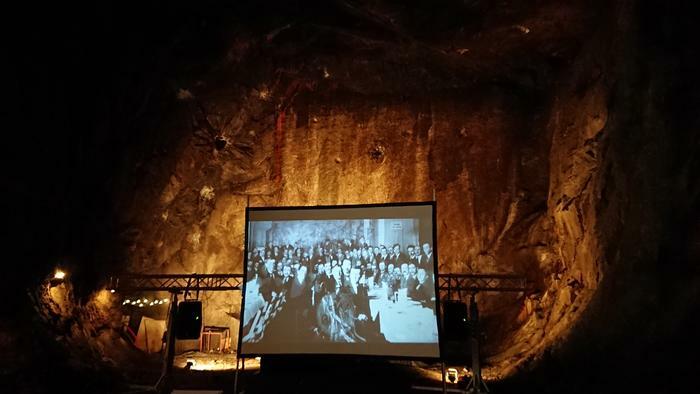 You can see films about the pioneering work of the navvies or the ingenieurs, see the exhibitions and the powerstation on your own. 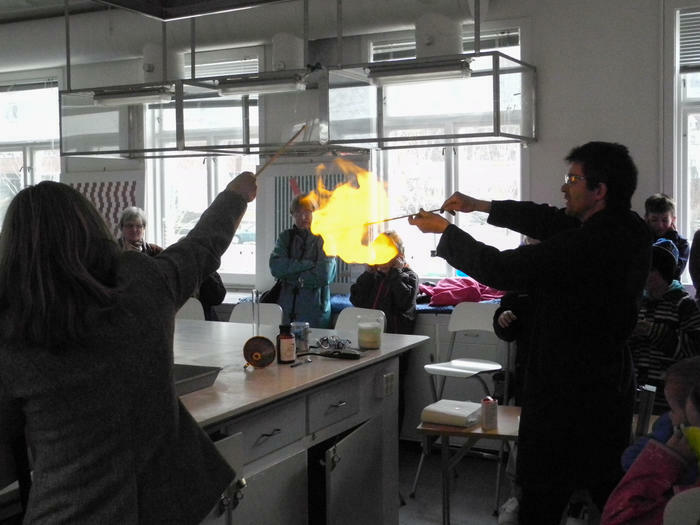 A guided tour for groups on all our locations can be booked in advance. 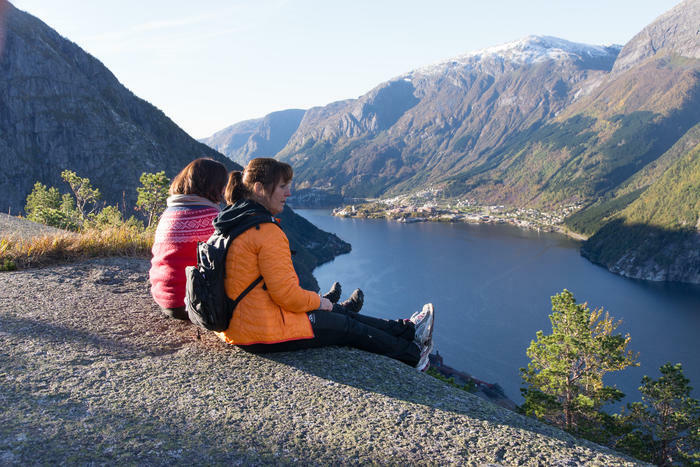 Take a hike to the top Lilletopp, drive up to the damm at the gate to Trolltunga, visit the old workers houses or the science center in Odda city. 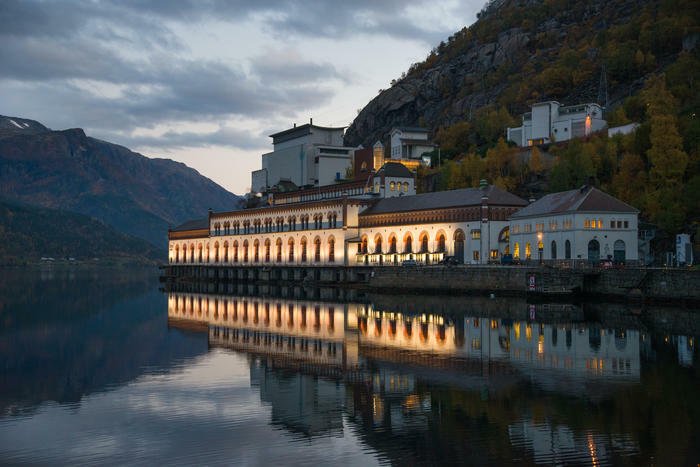 In Tyssedal you can see the film The industrial adventure before you wander through the historical powerstation, or join our skilled guides on one of the scheduled tours. You may also study the exhibitions and the powerstation in your own pace. Perhaps you would like to have a small rest in our café, where we serve norwegian waffels, coffee, tea and sandwiches. 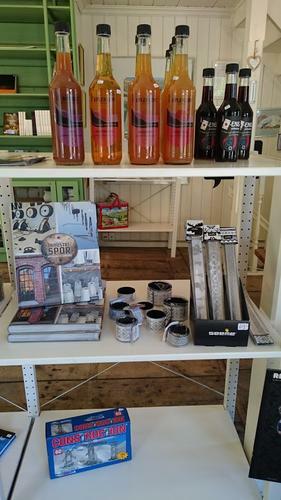 In the museum shop you can buy delicious local applejuice, chutneys and marmelades. 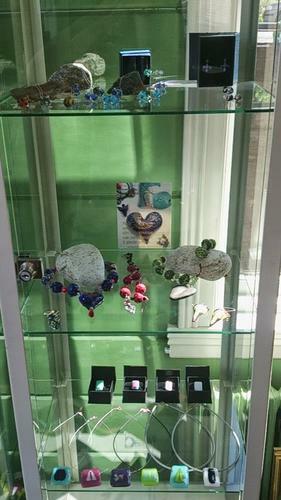 A variety of souvenirs and local crafts are also for sale. 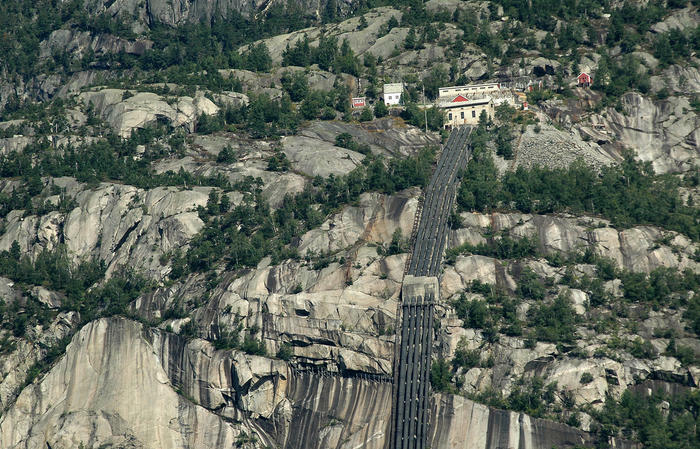 Lilletopp is a shelf on the mountainside above the powerstation. 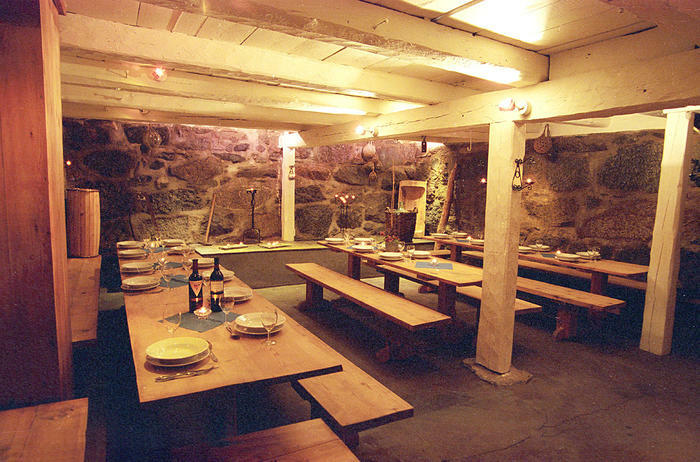 It consists of several small buildings, tunnel and a large cave where water was collected. These fascilities are no longer operational, tunnels and cave are dried out and are today accessable. Lilletopp is connected through the pipes with the powerstation down at the fjord. During the summer holidays, Lilletopp is open to the public all days from 11am to 4pm. 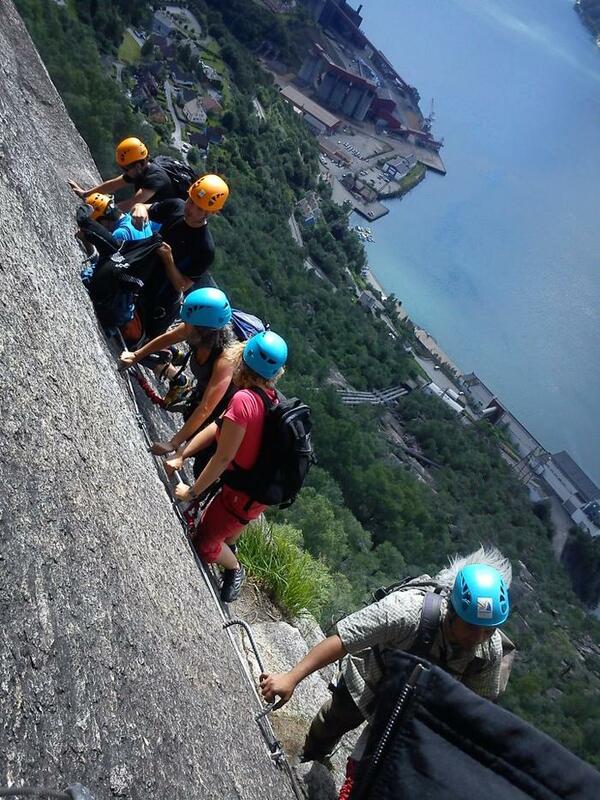 The somewhat steep, but absolutely walkable trail, leads you in only 20 to 30 minutes through the history of hydropower to the hydropower fascilities over 400 meters above sea level. 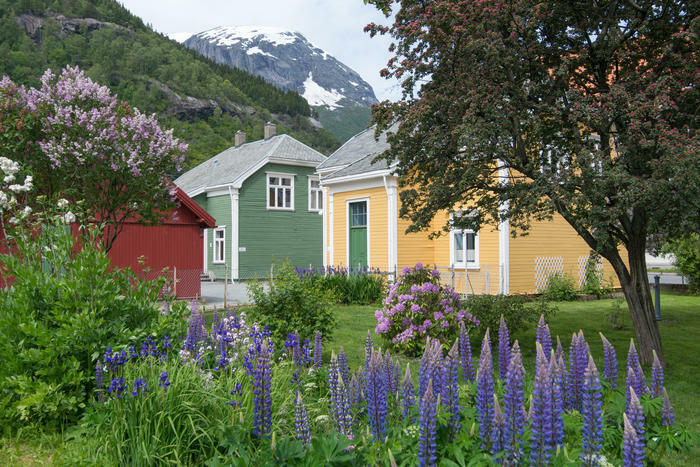 Once arrived in Lilletopp, which ever way, you can enjoy a breathtaking view over the glacier Folgefonna, the Hardangerfjord as well as over the places Tyssedal and Odda. 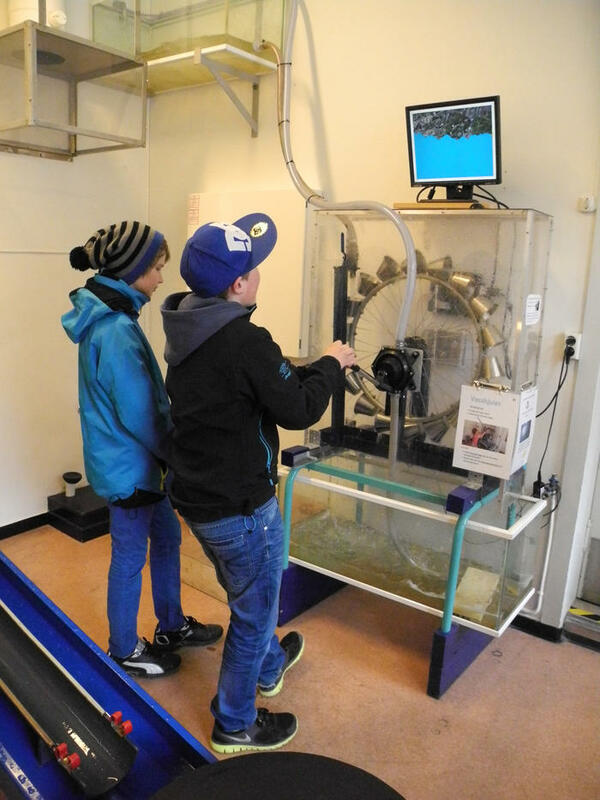 Join us on a guided tour through the empty tunnels and waterbassin. Try your skills with hammer and mine drill like the navvys did when they carved out the stone from the mountain to make tunnels. Price: NOK 50 per person. This guided tour can be booked for groups on other days. Price on demand. On demand we would love to show you the historical workers houses which are reset to the decades of 1910, 1920, 1930 and 1950. 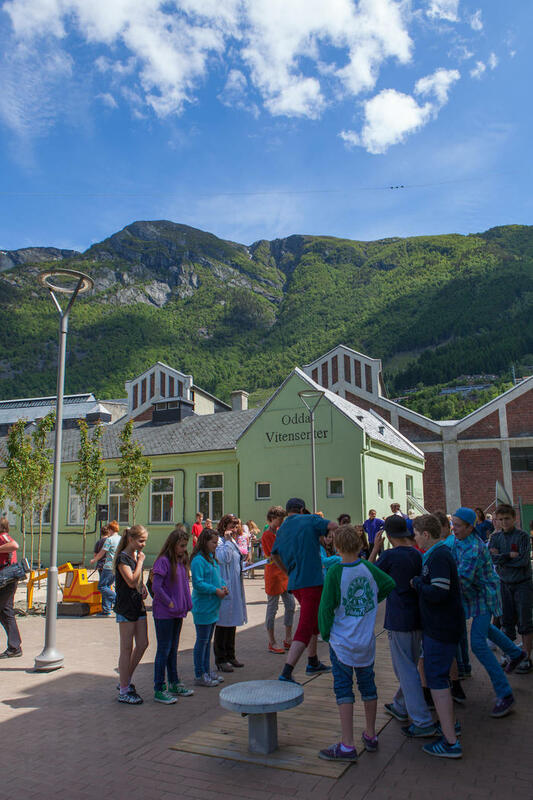 Additionally we show the film The Children in Bakke, in which Bodil and Harald tells us about their childhood living in these houses, and how it was growing up in the newly established industrial town of Odda at the beginning of the 20th century. The beautiful garden is open for everyone to linger after a long day of shopping in the city.